So upon doing school work on my computer I happened to glance down at the time. There it was… the epiphany that struck me 4 minutes before I started writing this post. 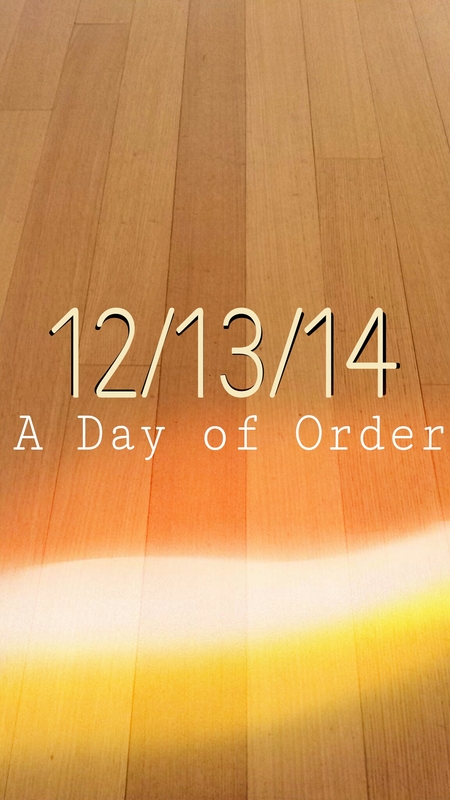 12-13-14 or better known as December 13, 2014. Besides remembering that today is one of my siblings’ birthday ( Happy Birthday Sis! ), I completely forgot about the symbolism of this day. Below I have listed the meanings of the numbers twelve, thirteen, and fourteen as explained on The Bible Study Site. Twelve can be found in 187 places in God’s word. Revelation alone has 22 occurrences of the number. The meaning of 12, which is considered a perfect number, is that it symbolizes God’s power and authority, as well as serving as a perfect governmental foundation. It can also symbolize completeness or the nation of Israel as a whole. For example, Jacob (Israel) had twelve sons, each of which represented a tribe begun by a prince, for 12 princes total. Ishmael, who was born to Abraham through Hagar, also had twelve princes. The number 13 is symbolic of rebellion and lawlessness. Nimrod, the mighty hunter who was ‘before the Lord’ (meaning he tried to take the place of God – Genesis 10:9), was the 13th in Ham’s line (Ham was one of Noah’s three sons who survived the flood). Thirteen represents all the governments created by men, and inspired by Satan, in outright rebellion against the Eternal. As we can see these numbers symbolize a lot that has happened in our country and our world. We must be careful to pray and use our time wisely. As I see people raising their hands saying “hands up, don’t shoot,” I think of Jesus on the cross, arms outstretched imploring that they don’t know what they are about to do. Lately, I have been having close encounters with God in my car, bathroom, hallway, and kitchen. God has been pressing my spirit in ways I have never felt before. At first, I was afraid to worship God in these “uncommon” settings. Growing up in a house of unorthodox believers we knew that church was the main place to worship God. My idea of church was certainly a building where people came together to sing, pray, shout, and cry. But then God started giving my mother an urge to worship around the house. I’ll never forget the days when I would come home to find my mother on the kitchen floor weeping and thanking the Lord for all He had done. Or the times when she’d be cleaning the floors and break out shouting “Hallelujah” and praise dancing. As a young teenager I’d stand or sit quietly saying within myself “Thank you Lord. Thank you Jesus.” I always wondered how she felt being in such deep worship. Or how was the inward experience because the outward sometimes seemed as if she would jump right out of her skin! When I prayed one day for the Holy Spirit to fill me with His presence I had no idea that His “fire” would transform my life. All I knew is that I wanted that intimate experience my mother kept having and I wanted to feel that peace. Throughout the bible Jesus talks about “living water”. He mentioned that His well would never run dry and no man would thirst again with His living water. It’s time for a purge. The Lord wants to wash you and the Holy Spirit wants to fill you with His fire. Don’t hold back. Don’t resist. Let the Lord have His way in you. You will never be the same. You are the living well. Your water never runs dry. You are the peace that I have been longing for. Fill me Holy Spirit because I desire to be changed by you. I can’t make it on my own. I fail if I don’t have you. Transform my mind and my life. Please forgive me for all the wrong I’ve done. I know that you love me because you died for me. Thank you for hearing my prayer. In Jesus’ name. Amen.